The loss of trees across Europe is pushing beetles to the brink of extinction, according to a new report. The International Union for the Conservation of Nature assessed the status of 700 European beetles that live in old and hollowed wood. 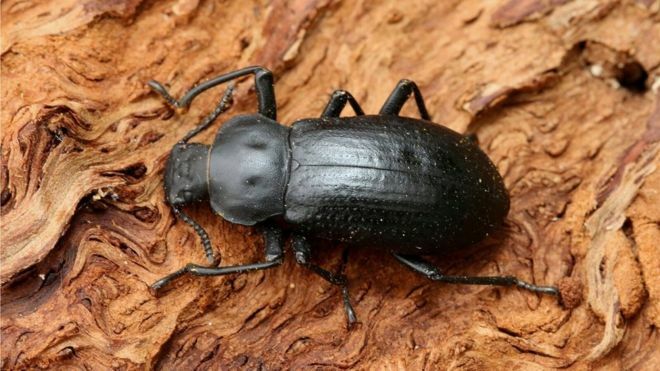 Almost a fifth (18%) are at risk of extinction due to the decline of ancient trees, the European Red List of Saproxylic Beetles report found. This puts them among the most threatened insect groups in Europe. Saproxylic beetles play a role in natural processes, such as decomposition and the recycling of nutrients. They also provide an important food source for birds and mammals and some are involved in pollination.